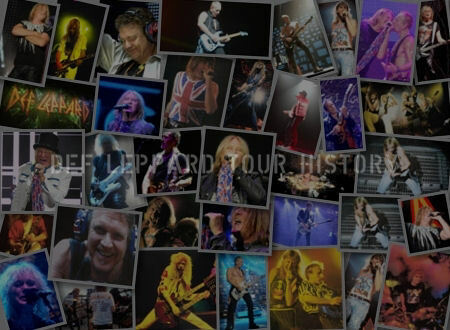 Def Leppard played the first show of the Summer Tour 2013 five years ago at Hellfest in Clisson, France. The show took place in Clisson at the Hellfest festival grounds. The first time the band had played and headlined the festival. And also the first visit to France for almost 17 years. Other acts on the bill included Whitesnake, Twisted Sister, Europe and Saxon. The first show played since the VIVA! Hysteria residency of March/April 2013 in Las Vegas, NV. 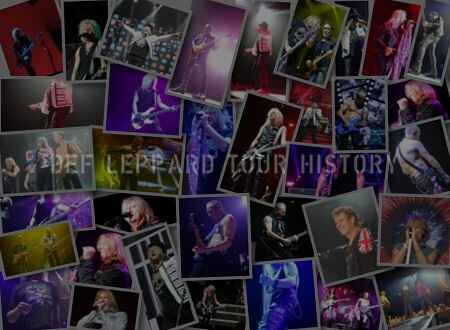 The 2013 tour only featured ten shows. 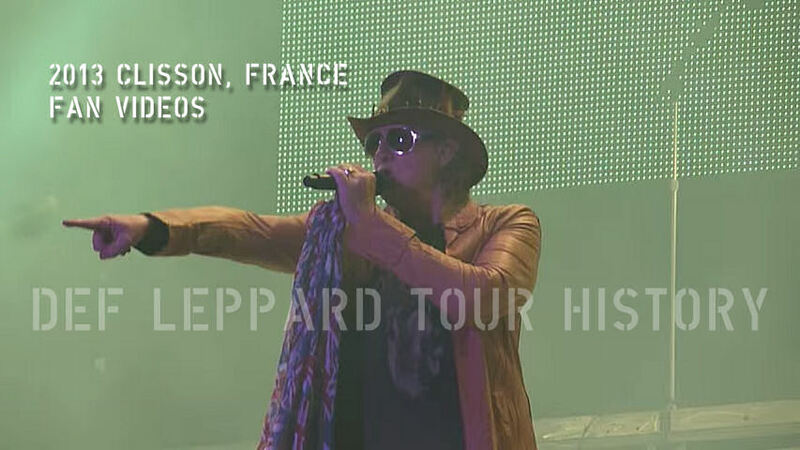 Eight shows were played in Europe. Four in Spain with Whitesnake/Europe, two in Sweden and one in Norway. After this the band returned to North America for two festival shows in Canada and two headline shows in the USA. The Quebec show featured a massive crowd of over 80,000 people with band members stating it was one of the best crowds they had ever played to. 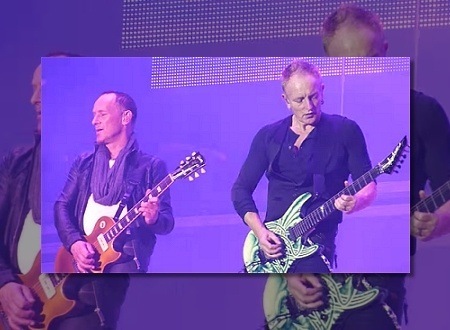 This was Vivian Campbell's first show with the band since he announced that he had been diagnosed with Hodgkin's Lymphoma and was undergoing chemotherapy treatment. He had made this announcement only a few days before the show and the band had posted a photo of him with his new "aerodynamic" haircut only the day before. As the 2013 tour went on he would shave all his hair off which was falling out due to the chemo. As has been the case since this time he played brilliantly and with a smile on his face. And had it not been for his announcement or his new look, few would have guessed he was ill at all. The festival had requested the full 'Hysteria' album show from Las Vegas. Therefore the band played an almost identical show to the residency with a Ded Flatbird opening set of 7 songs before the album was played in sequence followed by the ROA/Photograph encore. This would happen two more times in San Sebastian and Madrid, Spain. The only times a full album has been played outside of the residency. After The Who's 'Won't Get Fooled Again' played on the PA the band joined in at the YEAH! part to end the song live. Something first done at the VIVA! Hysteria shows in Las Vegas, NV in March/April. 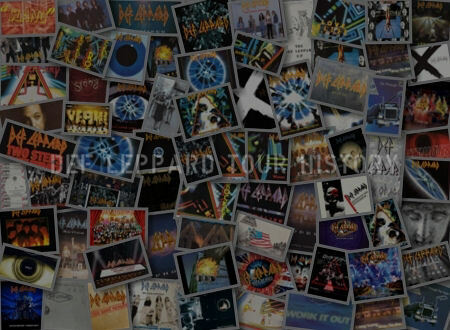 This intro would also be used during the 2014 tour with KISS. "My diagnosis was Hodgkin's Lymphoma and 6 months of chemotherapy is the prescribed treatment. I'm about 2 months in and feeling rather spiffy, all things considered. Hodgkin's has an over 80% cure rate, so by my reckoning, if you're going to have a cancer, Hodgie's is the one to have!." "The reason I'm sharing this with you is because, despite cancer and chemo, me and my new aerodynamic hairstyle (read: no hair) are going on tour this summer with the band and I don't want anyone to be so shocked by my new look that they ask for a refund. Simple economics, really." "My family, friends and bandmates have all been extremely supportive through this and I look forward to a summer full of shows with both Def Leppard in June/July and the debut of Last In Line this August." "Yeah. He's fine now he's on the road to recovery. Yeah, he's here. He has Hodgkin's Lymphoma which is a form of cancer. He's been treated for the last two months. He's cut his hair short because if he didn't it would fall out anyway. But he's looking tanned and healthy. And he's got good spirit. And he can sing and play and he's still in this band. And he's gonna make a full recovery." "He's here. He's playing tonight. I mean that tells you all you need to know. He's here." 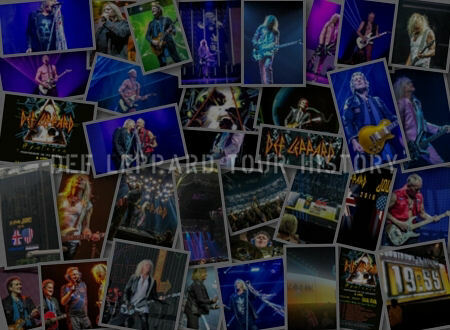 View over 40 videos from the show on this YouTube playlist.